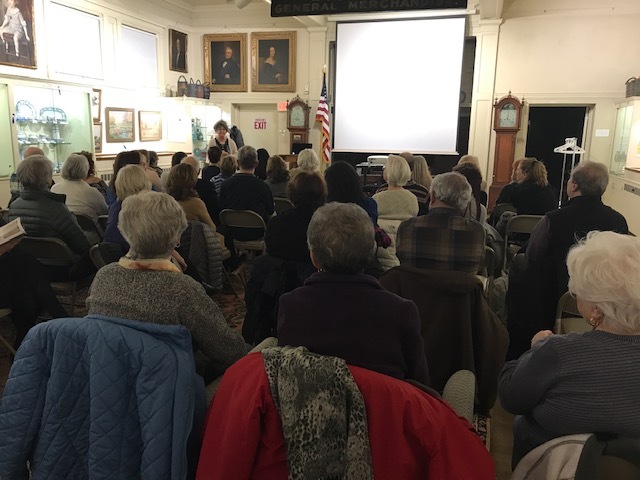 On March 21st, Dr. Kimberly Alexander spoke to a packed gallery at DHSM about the history of shoes as a reflection of culture and society; this was part of DHSM’s annual lecture series. Attendees had thoughtful questions spurred by Dr. Alexander’s engaging presentation. There were many new faces who joined DHSM for the evening; thank you to new visitors as well as our membership for your interest. 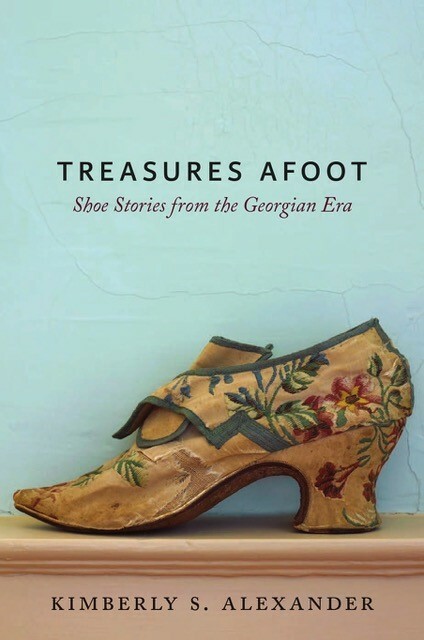 Dr. Alexander is the author of Treasures Afoot (2018), which is highly recommended. Thank you Dr. Alexander for crediting your research time at DHSM in your acknowledgments and in the text.